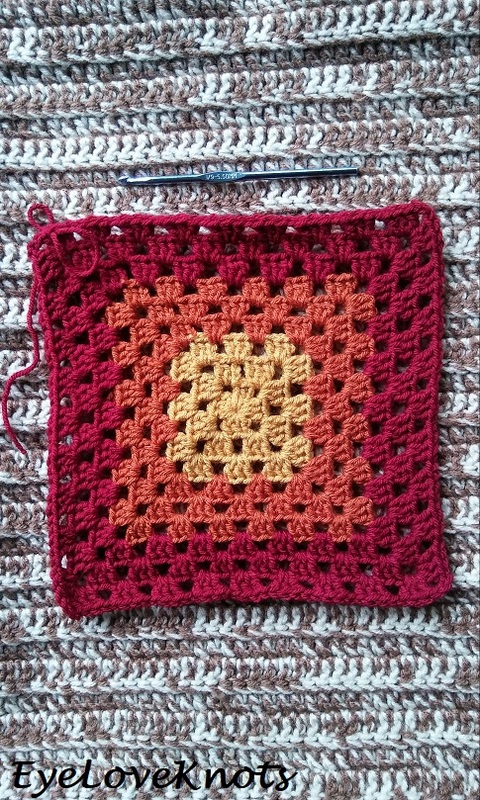 I have a fun accessory to share with you this Saturday, in which I am using this 15″ Granny Square. 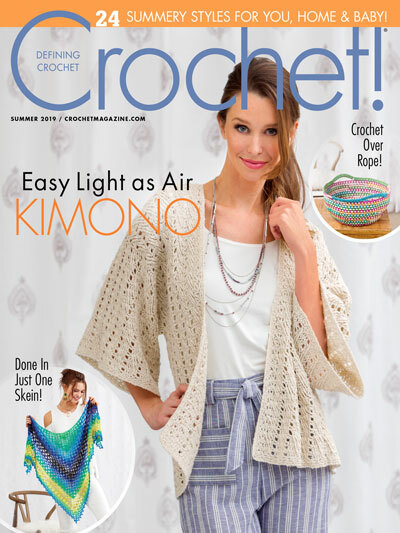 I will also have an inspiration photo for you in my next post, but for now, enjoy this crochet pattern! This square can be used for so many things. While working it up, I thought of a throw pillow, and an afghan. 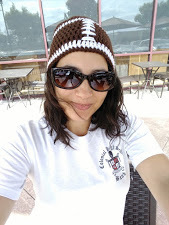 While I would LOVE to make a set for my home, right now I have a lot to do, so I am trying my best to stay on task. 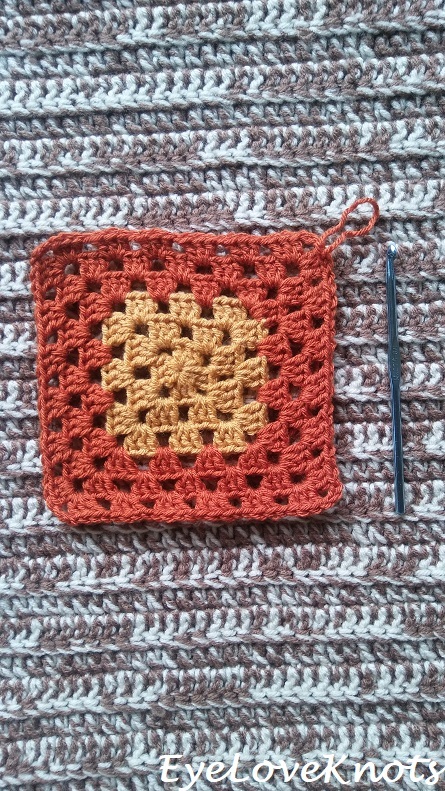 What else can you think of to be made with this granny square? Or share with me what color/s you’d use! Shop EyeLoveKnots Etsy: 15″ Granny Square. Shop EyeLoveKnots Craftsy: 15″ Granny Square. Are you a Raveler? 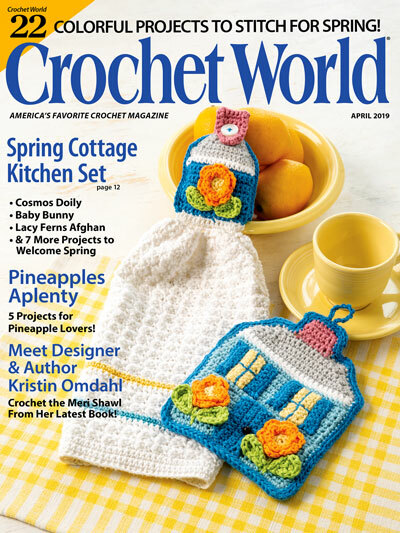 Share your version of this project on Ravelry – 15″ Granny Square. 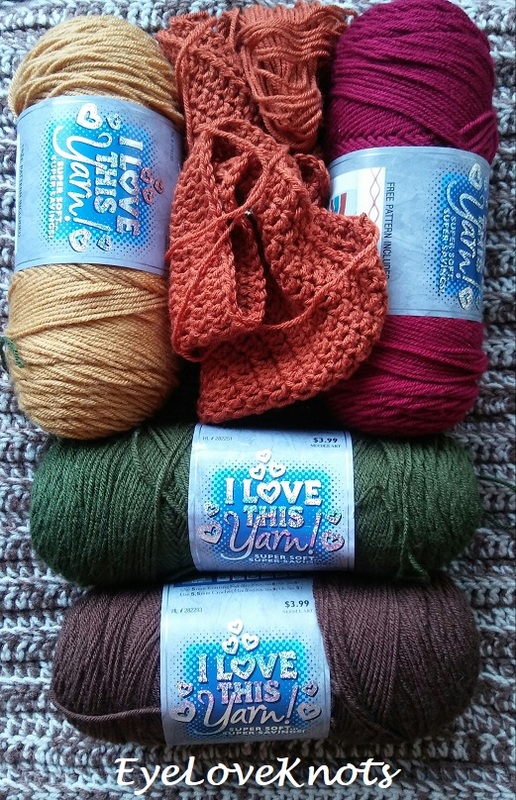 202 Yards of Worsted Weight Yarn – I used Hobby Lobby’s I Love This Yarn – 50 Yards of Brown, 25 Yards of Burnt Pumpkin, 2 Yards of Sungold, 75 Yards of Cranberry, and 50 Yards of Dark Olive. Yarn Alternatives: Red Heart’s With Love, Berroco’s Vintage Yarn. I finished my square up in just under two hours. If you have less color changes, you’ll finish even faster with less ends to weave in! Beginning chain counts towards final stitch count except in finishing. Chain 2 in the last corner of the first round of granny square is intentional to keep a more even square with future rounds. Join to the first stitch, not the beginning chain. Best to weave in ends as you change colors. It’s easier to get to this way, and helps in the end for anyone (like me) who doesn’t like the weaving process. 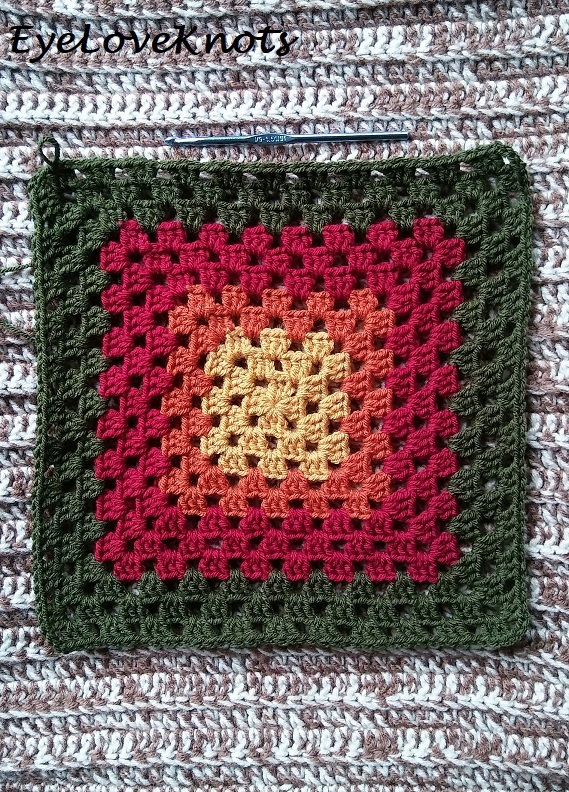 This square will be a larger project I am working on, and my color changes were intentional. I have 5 color changes in my granny square, and will be sharing my pattern with each of these changes. If you decide to do one color, more but less than 5, work the color changes as you see fit. To change yarn colors, slip stitch over twice after join, then insert hook into the next chain space, and pull new color through. Hold taught, and work the first cluster over the two tails. Working over tails here will keep the stitches from pulling loose while you are working, and keep the color change even. Alternatively, you can work an invisible join, and join new color in any chain space. Fasten Off, and Weave in Remaining Ends. I am not re-inventing the wheel here. This stitch pattern is not copyrighted, but my words and photos from this post are, and I did spend time working the math out to get this right just the right size I was looking for. DO NOT try to claim my words and photos as your own, nor should you try to sell them. DO NOT copy and paste my pattern anywhere, link to it instead. For sure! I have worked it turned before, but I don’t see the point when there isn’t a seam to worry about. All in the same direction like this one, produces a beautiful piece of fabric. Thanks for stopping by! Love the colors.. This could be a great way to make some pillows to help decorate for fall. Yes! I wanted to make some after I finished up the square, but I had a different project in mind first, and no time for another. I will definitely be working some up for next year though. 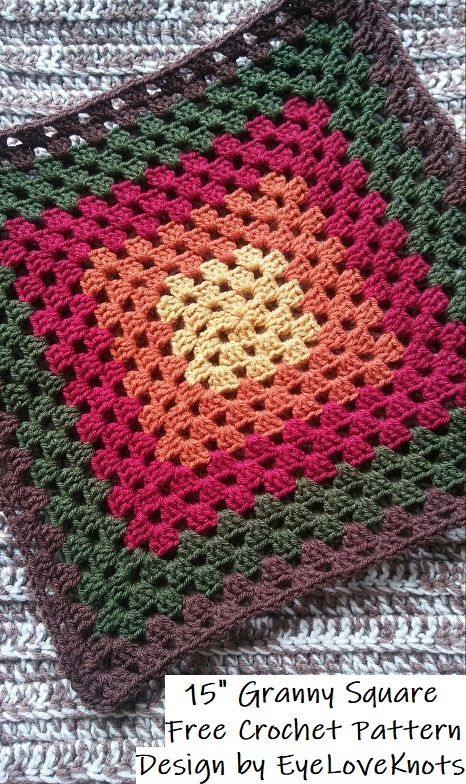 The granny square is one of my favourite things to crochet, the colours you’ve used here are just lovely. Thanks, Julie! It’s one of my favorites too. So versatile! Thanks for sharing at Creative Mondays. Hope you can join us today. Thanks, Claire! I was a little worried about that green, but I do love how the finished piece turned out. 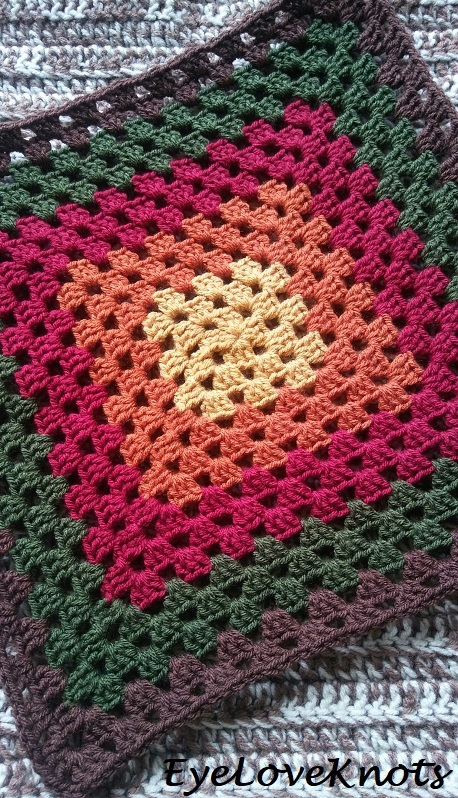 Love the colors of the Granny square, thanks for the inspiration. I’ll be making a Granny vest!